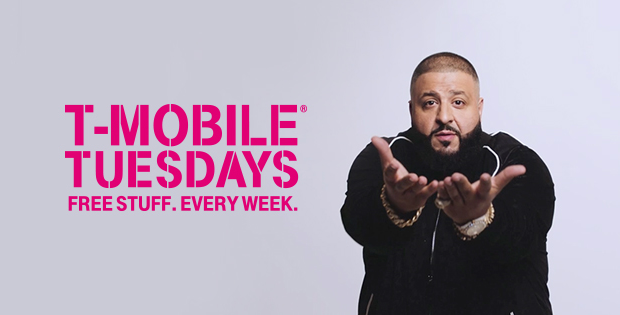 Next week’s edition of T-Mobile Tuesdays is focused on relaxation and treating yourself. For the T-Mobile Tuesday on December 13, T-Mo will be giving away a $10 gift card to SpaWeek.com. You can use this gift card to treat yo’ self at a participating spa near you. Other T-Mobile Tuesday gifts for next week include $0.25 off a gallon of gas — up to 20 gallons — at Shell, a free small Frosty from Wendy’s, and a free movie rental from FandangoNOW. Next week’s grand prize winner will receive a $2,000 Spa & Wellness Gift Card from Spa Week as well as a gift basket with spa-related goodies. Those include a Calvin Klein Deep Euphoria fragrance set, Decléor Aroma Body Svelt set, Sabon Wonderland Kit, Eminence Skin System, and a Plush Necessities robe. The winner will also get a check for $1,134 to cover taxes or whatever else. Twenty-five first prize winners will get a $200 gift card to Spa Week, while 200 second prize winners will receive a $25 Spa Week gift card. Gas discount is great, though. If I can somehow combine that $10 gift card with another gift card that I can buy through the site, that could be a great Christmas gift for my mom or sister. Yes, the gas discount ($5) is one that makes it worth keeping the program. you know, each tuesday they still credit you $.10/gal. have gotten it each week since the 1st time. How? I used that first time gas credit and yet to see it used any more than that. Mine doesn’t apparently thats only for people that used it right away the first time it was around. I had a full tank of gas and used it a week later to get 20 gallons for $0.38. Don’t get anything from them on tuesdays. Can you stack the spa gift cards? I have 6 phones on my account. 10 each wouldn’t help, but 60 for say my wife would be nice. i want vudu and frostys and teh dominos pizza. I have a car, don’t need lyft or uber. Those of us who travel use Uber (and Lyft). Problem w. promo is they are usually only good for one particular day. Used it once. Why no mention about Sprint taking over T-Mobile? Trump meets the Masa, and the SOB is ready to hand him T-Mobile on a Silver Platter! First time in years it seems real, and mums the word. What gives? Because the discussion was specifically on startup companies and new innovation. Is it more likely that a merger happens? Sure. Anything concrete? Nope. Wow! You don’t actually believe that? If Masa wanted to put more money into this country, he has the perfect opportunity to do so in the company he already owns, Sprint, which needs massive investments in network upgrades and expansion. Why not start there? If he wanted to hire more people in this country, he could hire back the Sprint workers he laid off. Anybody hear anything about that? “Startup” and “innovation” are just buzzwords now. The don’t mean anything anymore, except more bull to follow! That meeting was all about the hostile takeover of T-Mobile customers. Period. The bull about startups and innovation was just window dressing for the photo op afterwards, a bone tossed to Trumps vanity. If you want to know what Masayoshi Son will do with T-Mobile after he acquires it, just look at what he’s done with Sprint. When he acquired Sprint he gave everyone big stories about how smart he was was and how he did this and that in Japan and he was rich so like deep pockets and he was gonna rock the world! What really happened? Sprint fell from #3 to #4, like a frakking rock, with no significant improvements or upgrades outside of a couple of show projects. Such a genius!!! T-Mobile, on the other hand, with a mere $4 Billion from ATT, has gone on to become the #3, eclipsing what Sprint had ever done, and is still growing strong. T-Mobile doesn’t need Son’s “Genius”. For that matter, Sprint doesn’t need Son’s “Genius” either… They were perfectly capable of failing all on their own. They have to get VoLTE somehow and what’s amazing is that they still don’t have it. I guess the only way for them to figure it out is to to acquire T-Mobile. I know me for one if T-Mobile sells to Sprint our grandfathered plans will not be safe. It says that in the Terms and Conditions of sprint they have the right to change your plan anytime they want. This I know to be true because I used to work for them. Sprint closed all the US based call centers and sent them to the philippines and brazil, SO GREAT JOB TRUMP wanting to bring jobs back to the US and ends up supporting a company that LOVES to outsource and get rid of US labor force. I’m talking over 10,000 lost their jobs when they did that back in March 2016. And yes I know what I’m talking about I was one of the people terminated along with 500+ others from my center. The building still sits with a for lease sign to this day. Tmo should buy sprint… Sprint coverage is even worse here.. If anyone is not going to use their spa code I would be happy to use it! Anyone else got a free movie ticket ? My wife and I both got free movie tickets. Rogue One baby! !